Roger Perry, the veteran character actor who guest-starred on a memorable episode of the original Star Trek and portrayed Eastland headmaster Charles Parker on The Facts of Life, has died. Perry was previously married to Laugh-In star Jo Anne Worley from 1975 until their divorce in 2000. A contract player at Desilu Studios who was discovered by Lucille Ball, Perry starred on a pair of ABC dramas in the 1960s that lasted just one season. Perry joined NBC’s The Facts of Life in 1981 at the start of its third season after John Lawlor, who played Steven Bradley, the former headmaster at the Eastland boarding school for girls, exited the series. Born on May 7, 1933, in Davenport, Iowa, the blue-eyed Perry made his onscreen debut in 1959 on an installment of Westinghouse Desilu Playhouse, then appeared in such films as The Flying Fontaines; Connie Francis’ Follow the Boys; and Heaven With a Gun, starring Glenn Ford. Veteran character actor Roger Perry passed away Thursday, according to the Hollywood Reporter. Previously, he was married to another game show vet, Jo Anne Worley, from 1975 to 2000, and prior to that, he was married to Patty Perry from 1960 to 1970. He is also survived by his daughter, Dana Perry McNerney. From there, he appeared on countless TV shows throughout the ’60s, ’70s, and ’80s. The actor was probably most known for his role as Charles Parker, the second headmaster of Eastland on the NBC comedy The Facts of Life, where he did 10 episodes starting in the third season, between 1981 to 1983. In addition to acting, Perry also composed and wrote songs. Perry and Bulifant also starred on stage in The First Hundred Years; in Hanging by a Thread, with Patty Duke; and in The Happiness Bench, with Mariette Hartley. In addition to his wife and daughter, the Hollywood Reporter also listed other survivors, including his brother, Nick; son Christopher; stepchildren Charlie, Mary and John; grandson Parker; and step-grandchildren Riley, Ford, Daisy, and Evan. Character actor Roger Perry died Thursday at his home in Indian Wells. Perry compiled dozens of feature, television, and stage credits during a long career that began when he was discovered by Lucille Ball, who put the young actor under contract to Desilu Studios. Perry was a guest star on the “Star Trek” TV series in a memorable first-season episode in 1967, “Tomorrow Is Yesterday,” playing Captain John Christopher. Perry composed the music for “Make a Promise, Keep a Promise,” which premiered at the Doolittle Theater in Hollywood. In recent years, the Perrys have been performing in benefit productions for children’s programs and charity. He is survived by his wife, his brother Nick Perry, his son Chris Perry, his daughter Dana McNerney, and grandson Parker McNerney. In lieu of flowers, donations can be made to River Bridge Regional Center for Abused Children in Glenwood Springs Co., which was founded by Perry and his wife. 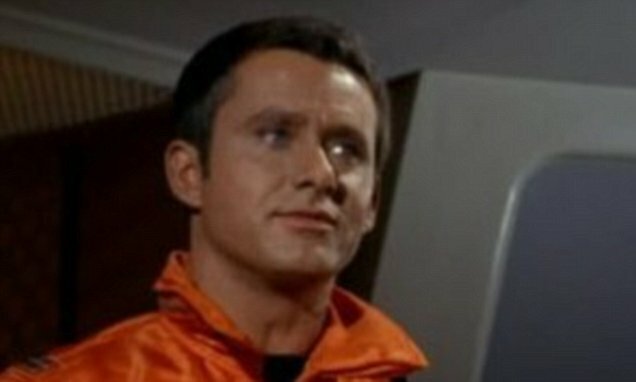 Roger Perry died at the age of 85 at his home in Indian Wells, California, following a battle with prostate cancer, according to The Hollywood Reporter. One of his most famous roles was as Captain John Christopher in NBC’s Star Trek episode Tomorrow Is Yesterday. The actor’s daughter, Dana Perry McNerney, confirmed the news of his death. Perry was previously married to Joanne Worley, and has been married to actress Joyce Bulifant since 2002.He is survived by his wife, brother Nick Perry, son Chris Perry, his previously mentioned daughter Dana and grandson Parker McNerney. Lucille Ball discovered the young actor and put him under contract to Desilu Studios. Perry also appeared in NBC’s The Facts of Life starting in its third season as the headmaster at the Eastland boarding school for girls. Perry was born on May 7, 1933, in Davenport, Iowa, and made his onscreen debut in 1959 on an installment of Westinghouse Desilu Playhouse.